Glaucoma is a group of diseases that affect the optic nerve and can result in vision loss and blindness. With early detection and treatment, the eye can be protected and vision can be saved from vision loss. Half of the people who have been affected with glaucoma may not know they have it. The optic nerve carries images from the eye to the brain and optic nerve damage in glaucoma is the primary cause of vision loss. In the early stages of the disease damage to the nerve fibers results in loss of peripheral vision; as the disease progresses the peripheral vision becomes constricted and in later stages blindness may result. Even though high pressure in the eye is clearly a proven risk factor there are patients with glaucoma who have low or normal intra-ocular pressure, in these situations blood circulation abnormality to the optic nerve appears to be the reason for this damage. Diseases such as arteriosclerosis, diabetes mellitus and hypertension are risk factors for glaucoma. At present there is no cure for glaucoma. Medical treatment, laser and surgery are all aimed towards lowering the intra-ocular pressure to prevent from further optic nerve damage and vision loss and also slowing the disease process. Early detection and treatment of the glaucoma is the key to stopping the progression of the disease. In a study published in JAMA a greater intake of dietary nitrate and dark green-leafy vegetables was associated with 20-30% lower risk in open angle glaucoma. In a another study in addition to genetic disposition, several risk factors such as dyslipidemia, smoking, arterial hypertension, diabetes and hyperhomocysteinaemia play an important role in glaucoma. Changing life style towards a healthy life style, weight reduction, normalizing blood sugar and regular physical activity appeared to be very important in controlling and progression of the glaucoma. Aerobic exercise has been shown to reduce mean intraocular pressure. In a recent study in New England Journal of Medicine in a mouse model of glaucoma, it was demonstrated that mitochondrial dysfunction resulted from a deficit in retinal Vitamin B3 in conjunction with elevated intraocular pressure as causing susceptibility to glaucoma. In another very interesting recent study there is growing evidence of the neuroprotective effects of the ketogenic diet. Ketogenic diet and ketone bodies that are elevated during exposure to the ketogenic diet have a neuroprotective effect on retinal ganglion cells in a rat model. Antioxidants including Vitamin E, C , B12 and Beta carotene protect the optic nerve help improve outflow of fluid out of the eye and lower eye pressure. Antioxidants also protect the optic nerve by blocking vessel-narrowing effect of free oxygen radical (vasoconstriction) compromising blood flow to the optic nerve. 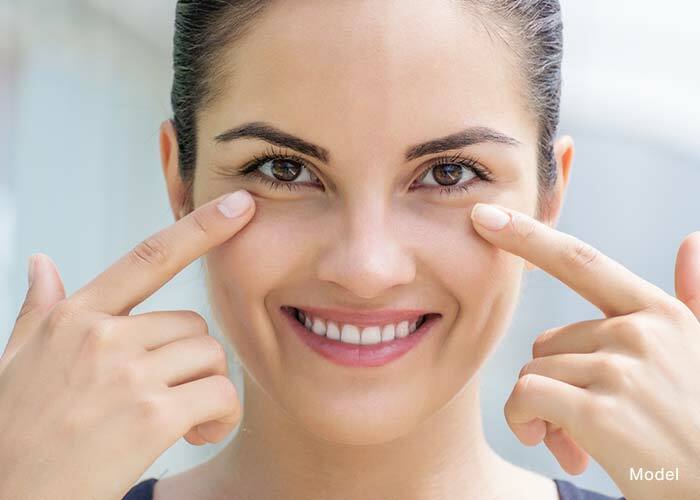 Supplementation with Magnesium, gingko biloba, selenium and bilberry relaxes the blood vessels and improve blood circulation to optic nerve and therefore protect optic nerve health. There is ample evidence that Microcurrent has a Neuro-protective effect in the treatment of glaucoma. The studies show microcurrent improves vision in macular deregulation. The mechanism of action is felt to be 3 fold; improving blood flow, stimulating cellular activity and reducing inflammation and scar tissue. Now there is research evidence that microcurrent has a protective effect on the optic nerve. At Sand Institute we follow a three day program protocol as alternative eye care improvement of the vision. This is a comprehensive 3 day program with one year of follow up care. The summary of the 3 day program is as follows and what is included in the 3 day program. A in depth eye history: This is required to explore and understand the underlying cause of the disease, which has contributed to the eye problem and use this information to develop a treatment plan to regain vision. Medications: every medicine can have a toxic effect on the eye condition of your eye. Dietary history: food is your best medicine. Evaluation of the stresses in your life: We help you to establish a program to reduce the stress in your life. Investigation of heavy metal exposure: Diagnostic testing– It is important to find out where you are with your vision, what needs to be done and then we repeat these tests at the end of the 3 days program to measure your improvement. ETDRS assessment of vision acuity: Much different than the standard snellen or big “E” eye chart. Light house contrast sensitivity: The test measures your ability to see letters of lighter and lighter contrast. This is related to toxicity and heavy metal poisoning. Color Campimetry Testing: We do visual fields using movement with 4 separate colors – red, green, blue and white. Zinc Taste Test: A simple 2 minute test that measures the intracellular levels of zinc. Zinc is a key nutrient not only for the eye but also every enzymatic function in the body. A deficiency of zinc is a red flag that there are probably nutritional deficiencies in other vitamins and minerals. Six hour urine collection for heavy metal toxicity: This test is the gold standard to determine the levels of toxic minerals in your body. Urine is collected for 6 hours and then sent to a specialized laboratory for analysis. Microcurrent Therapy: Microcurrent is a well established therapy that improves blood flow, stimulates cellular activity, reduces scar tissue and inflammation, and helps to balance the autonomic nervous system. Your 3 day program will begin with treatments that balance your autonomic nervous system, balance neuroendocrine function and treatment to reduce stress. We will design a detoxification program to help to reduce toxins in your body which are contributing to your disease. Emphasis will be placed on developing and fine tuning a customized program for your eye problem. This program will be fine tuned over the 3 days. Each day you will have 2 eye programs, a stress reduction program and a detoxification program. Syntonic Light therapy: Syntonics or optometric phototherapy, is the branch of ocular science dealing with the application of selected light frequencies through the eyes. It has been used clinically for over 70 years in the field of optometry with continued success in the treatment of visual dysfunction, including strabismus (eye turns), amblyopia (lazy eye), focusing and convergence problems, learning disorders, and the after effects of stress and trauma. In recent years, Syntonics has been shown to be effective in the treatment of brain injuries and emotional disorders. A specific wavelength of light will be selected to help detoxify your eye, stimulate retinal function and balance the autonomic nervous system. Each day you will receive 2 light therapy treatments. Myers Cocktail: This is a specialized intravenous vitamin mixture designed to give you the key vitamins and minerals to support the eye and visual function. It is highly suggested that all patients receive this mixture especially if you were measured deficient in zinc. It is also suggested that all patients in the program receive a Myers cocktail once a month until nutritional levels are at an optimum level. One month and 3 month telephone follow ups. 6 month return visit to the center. Instructional material including telephone support. The cost includes all of ancillary treatments such as, Myers cocktail and additional testing that might be needed. Please call the office for the cost of the program.